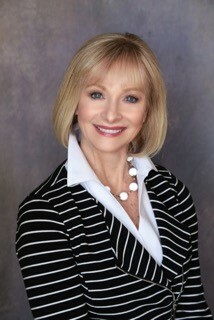 Debra started in Real Estate selling new home construction for one of Charlotte’s finest Semi-Custom Home Builders. During this 4 years she gained valuable insight and understanding in all aspects of the home building business. This experience translates well into the home buying and selling arena and couples with a background in Business . As an an Executive with USA Today, she worked throughout the Northeast corridor leading and directing sales , operational , and marketing teams. Debra is also a Gallup Strengths Coach and worked with hundreds of individuals and teams training to achieve their highest levels of success . Applying this knowledge of negotiations, construction, valuations , with the love of real estate has led to sales success throughout Greater Charlotte . Debra works in both relocation ( having relocated herself) AND simply finding the next home to “rightsize”, “downsize” and simply take the next step in finding your perfect residence. Taking time, diligence and applying this experience has been key to helping clients to find the RIGHT home, at the RIGHT price , in the RIGHT location . As a member of the Charlotte Board of Realtors and The National Board of Realtors , Debra is constantly working to be on the cutting edge of any and all changes to the real estate environment. Debra’s undergraduate work was at Ohio University and graduate work was done in Southern Connecticut.